Adrienne Musca is one of the longest standing members of the Harcourts group in Australia and celebrated her 35 year anniversary in 2012. Adrienne joined the team as a 15 year old when it was operated as the Roy Weston Group prior to Harcourts taking ownership of its 61 offices in 2004. Adrienne has had several roles during this time and has worked alongside a number of figureheads over the years. She now works in the state support office alongside Chief Executive Officer, Paul Blakeley, as an executive assistant. In 2009 she was awarded with the Roy Weston Medal, which is awarded by nominations from the business owners in Western Australia and is the most prestigious award an individual can achieve in the group. 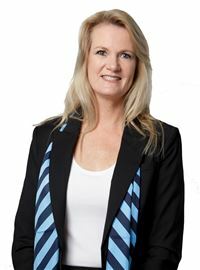 Adrienne is a pivotal part of Harcourts Western Australia and has helped to shape the group into what it is today. As the Business Operations and Marketing Manager for Harcourts WA, Justine assists staff with all the technology in the Harcourts Academy and state branches. She provides training on an on-going basis around Harcourts One, Websites and all other Harcourts systems and processes. Justine also trains sales representatives and business owners in the use of all Harcourts apps, eOne app, a contact, task & listing database and eCampign, the listing presentation app. Justine also completes the induction of all new Harcourts offices and ensures all new offices have up-to-date templates, consistent branding and the correct policies and procedures across the sales department. She prepares marketing campaigns for the team, interacts with local suppliers, communicates international marketing campaigns, and gives feedback on local marketing and consumer research. She also supervises the design of new offices to ensure all marketing and branding is consistent. Justine started her real estate career in 2008 as a receptionist and over the past 10 years has demonstrated an absolute passion and enthusiasm for the industry. This has allowed her to gain extensive knowledge and experience in all aspects of the Real Estate field. Ranging from property management, sales & trust accounts, to managing company accounts, staff, property and agent marketing and videography. Justine, originally from WA moved to the Gold Coast where she spent 2 and a half years working as the Corporate Assistant with Australia’s Number 1 Franchise, Harcourts Coastal. Here is where she realised that she wanted to stay apart of the Harcourts family. When she decided it was time to come home, she was put forward to Harcourts City Central in Perth and was employed as Office Manager. The opportunity for the role as Business Operations & Marketing Manager became available at Harcourts WA in which she was the perfect candidate and commenced in June 2018. The Harcourts culture is one of working hard and playing hard. Justine is part of a very busy, hands-on team where even outsiders comment on the positive customer service and supportive atmosphere, where clients feel included in the real-estate process. The corporate team let their hair down at the organisation’s quarterly awards and the annual ball, as well as the annual conference held on the Gold Coast. When not in the office, Justine likes to keep fit in the form of calisthenics, enjoys cooking, travelling the world and creating memorable moments with friends and her 2 American Staffy’s, Toey & Staunch. Chief Executive Officer Paul Blakeley heads up a team of five at the Harcourts WA office. Paul joined Harcourts in March 2014 after working as a General Manager for an independent Real Estate Group for 5 years. Paul’s background also includes working for 10-12 years in the banking and finance industry. In his previous role as a mortgage lender, he worked closely with real-estate agents and received many referrals. Indeed, he joined the real-estate industry when he was approached by one such agency and asked to be their regional manager for WA. Paul’s financial background affords him a unique position; he can empathise with the emotional rollercoaster experienced when buying and selling a house, and he also has a well-founded knowledge of the financial ‘nuts and bolts’ of real-estate, such as cashflows and budgeting. Working with Harcourts Paul quickly realised the amount of hard work and level of dedication required to serve real-estate clients well. ‘Clients for life’ is a mantra for all staff: “We deal with people on a personal level, it’s not all about the end transaction, it’s about getting people from Plan A to Plan B with the least possible stress by focusing on them and their needs. Our goal is to for anyone who encounters Harcourts, in whichever capacity, to be better off for that experience”. The culture of Harcourts resembles that of a large family: “Whether you are interacting with receptionists, administrators or the managing director of the company internationally, everyone gets treated the same with the same respect – there is very little hierarchy.” Perhaps the most admirable aspect of Harcourts is the company’s focus on growth at all levels, locally, nationally and internationally. Indeed, ‘Good to Great’ by Jim Collins, a highly-valued text within Harcourts, describes the concept of a ‘big hairy, audacious goal’. The goal the company works towards depends on their vision of utopia. Paul says the Harcourts brand aims to become synonymous with a trusted advisor who can take care of a person’s biggest asset. Paul’s role, therefore, is to train his staff in all the systems and processes available so that they become more successful employees. He then has the responsibility of growing the brand by encouraging quality people to join his team. He is an experienced communicator who enjoys interacting with a diverse range of people. Paul recognises the importance of giving back to the local community. As well as joining in the Harcourts Foundation’s ‘Walk a Mile’ event in support of White Ribbon, Harcourts WA has also been a proud sponsor of the Dyslexia-SPELD Foundation. In a fundraising campaign where Harcourts donated $50 for every goal the Fremantle Dockers kicked in the 2015 season, they raised nearly $15,000 for the Foundation. Similarly, nearly $15,000 was recently donated to the WA Bushfire Appeal. Paul’s passion for his job is evidenced by his willingness to do whatever is required to better assist his clients. Indeed, his work ethic truly embodies the organisation’s values of ‘do the right thing’ and ‘people first’. He would love to share the culture of Harcourts with those outside the team, and looks forward to expanding the positive impact of Harcourts into the future. I've learned that people will forget what you said, people will forget what you did, but people will never forget how you made them feel" - Maya Angelou Before real estate, Rae was in the South Australian Ambulance Service – she worked hard, met amazing and inspirational people and learned to see the real value in even the most ordinary moments of life. In real estate, she continues to forge real relationships with people. With over 10 years in the real estate industry across a number of different roles, Rae will be able to offer personalised, experienced advice. Rae is about making sure you achieve YOUR goals and being there to help every step of the way. Establishing her Real Estate career in 1998, Vicky Knight is a Licensed Real Estate Agent that prides herself on her exceptional client care services to become a multi award winning Property Management specialist. Her dedication to the industry has led her to be an active committee member of the Real Estate Institute of Western Australia’s Property Management Network since 2008, where she continues to contribute to the wider real estate industry and industry best practice procedures. Vicky is also a current REIWA trainer involved in training students in all aspects of Property Management. Vicky’s extensive knowledge of the market combined with effective negotiation, communication, market analysis and property promotion works in the best interests of her clients to ensure you receive the absolute best guidance and direction in maximising your investment property returns. With a strong background in trust account management solutions, personnel administration, maintenance scheduling and compliance management, Vicky genuinely cares about creating successful tenancy relationships and believes that having the right people with the right approach can save you a lot of stress, hassle and money. Managing a diverse range of property portfolios from first time investors to builder and developer multi-dwelling complexes, Vicky can assist you in all your residential management needs.